When asked about his goals for 2019, Benny Howell’s intentions were crystal clear. The 30-year-old allrounder is currently playing for Rangpur Riders in the Bangladesh Premier League. However, it’s the international representation that is Howell’s main focus. During the winter, Howell added a stint in the T10 League which was held in the UAE to his schedule. Along with his annual BPL appearances, it begged the question of whether the T20 circuit would appeal to Howell. 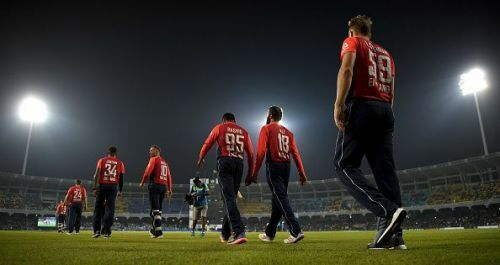 The short and longer-term focus is on representing England in T20Is, and appearances such as these are part of the strategy. If Howell is to break into England’s T20I plans, he needs to find a place in a tight-knit setup. In 2018, England used 20 players. In comparison, India used 25 whilst the West Indies used 29 players. Five of those England players played every game: Jos Buttler, Alex Hales, Chris Jordan, Adil Rashid, and Jason Roy. Howell’s main rivals for one of the allrounder spots are Moeen Ali, Tom Curran, Joe Denly, Liam Plunkett, Ben Stokes, and David Willey. All have represented England in the last twelve months and have, to date, been considered more suitable for T20Is than Howell. 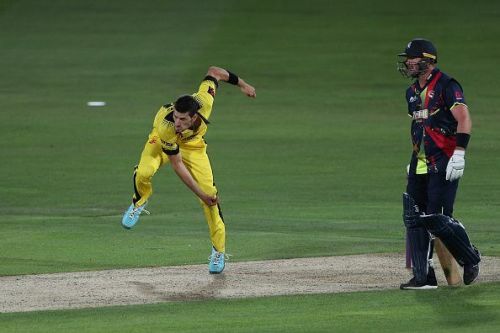 England have 21 T20Is before the T20 World Cup in Australia and Howell will need to force his way into the reckoning in 2019 if he, reasonably, expects to achieve his goal. Realistically, the tour to New Zealand in October and November would be the first chance to pull on an England T20I shirt. There are another three T20Is as part of the South Africa tour. However, his chances of getting to the T20 World Cup would have to be considered low if he went into 2020 without playing a T20I. At the moment, Howell is focussed on putting together a string of performances to stir the heads of National Selector Ed Smith and the selectors. Trevor Bayliss, England’s current head coach leaves his position in September. Bayliss has suggested that England go to a model of splitting the role into a red ball, and white ball coaches. A specialist white ball coach may be more inclined to utilise Howell’s skills. Howell is currently playing for Rangpur in this year’s BPL after spending two years at Khulna Titans. His new team is littered with stellar names such as AB De Villiers and Chris Gayle as well as Alex Hales and Ravi Bopara. However, Howell isn’t fazed by the competition for places. He is seeing it as a learning opportunity. Extra pressure? No, not really. There is always pressure. It's cool to be a part of a team with some world class players and big names. You can learn a lot from how they go about these tournaments and see what makes them tick. Everyone is different but you can certainly pick up some helpful tips that will help you along the way. The coach at Rangpur is Tom Moody and Howell is enthused by the Australian’s techniques. It’s clear that Howell does not see himself as a complete cricketer or, at least, one who can’t improve. It’s a testament to Moody’s coaching ability that he’s able to foster a positive environment with such egos as the ‘Universe Boss’ Chris Gayle in the ranks. If Howell is to push his name forward for consideration for England’s T20I squad then he must have the performances under his belt to warrant such a claim. In order to do that, Howell has been developing some new deliveries for his armory. With players such as Andrew Tye boasting multitudinous variants of the slower ball, Howell is not being left behind in evolving his technique. I'm always adding balls to my repertoire! But it takes a lot of time to go from experimenting to using it in a game consistently and effectively. There is no point of bowling them for the sake of it. There has to be a reason as to why I would bowl it. I have been working a quick googly and leggy for two years, so that's close to coming out in a match. Howell’s constant improvement is not just about changes to his game. It’s the reasoning why that is important to Howell. Data analytics is an area that Howell would like to see improve in T20. Although the statistical data available is constantly improving, it’s not fast enough for Howell. I think with T20, especially, the data that the analysts collect needs to be taking more seriously. There are so many variables within the game, and a simple average or economy won't show the true nature of the player. Once the BPL season is over, Howell will return to the UK to his family. 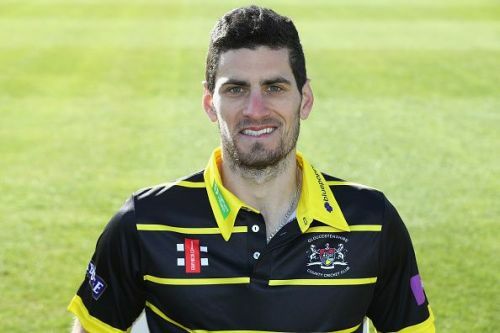 He will also be going back to pre-season training with Gloucestershire. With the Cricket World Cup being held in England, the domestic calendar has been changed to accommodate. The Vitality Blast is not scheduled to start until mid-July so Howell will have County Championship and Royal London Cup fixtures negotiate before getting another opportunity to impress in T20 games. Last year, an article disclosed that Howell had received a diagnosis of attention deficit hyperactivity disorder (ADHD) earlier in his life. The mental health condition can cause difficulty in concentrating, hyperactivity and impulsivity. Howell’s candor about his diagnosis is helping to breakdown stigma regarding mental health. If Howell were to play for England, it would bring significant positivity to the cause. For the player, he’s happy to recognize difference whilst integrating into a team. Considering whether he’d been treated differently since the article came out, Howell said “Not that I have noticed. Maybe it’s made people more aware that everyone is different but as long as you play for the team, you're okay." It’s not mission impossible for Howell. However, it won’t be easy to break into England’s T20I squad. Howell’s focus and aptitude to learning from his, and others, experiences give him an opportunity to achieve his goal. With hard work and a bit of luck, Howell won’t be far away from selection. Get those slower balls working too and the T20 World Cup could be a reality come October 2020.